Deer feeders come in all shapes and sizes. Some of them are automatic, others have an extra-large capacity. The selection of one or the other will depend entirely on your budget and the goal that you’re trying to accomplish. These specifics will also determine the places from which you can buy a deer feeder. The good news is that you have several options to choose among. This article will outline some of the possibilities, making it easier for you to get started with the shopping process immediately. The first place where you can find deer feeders is obviously Amazon. The shopping portal features a huge variety. Just perform a deer feeder search and you will come across dozens of great products. The customer reviews can also be quite beneficial because they’ll give you a better idea about the most popular and reputable items. You may want to do a bit of preliminary research before looking for deer feeders on Amazon. The diversity and number of options can potentially overwhelm you and make it more difficult to choose. For best results, set the budget in advance and stick to a couple of brands. Compare the characteristics of the different products side by side to come up with the best price to quality ratio that the market has to offer. If you want to go out there and see the deer feeders for yourself, visiting the local hunting and outdoor equipment store will be the best option for you. This shopping method comes with an added bonus. You can have a talk with the store assistant and get a better idea about the main differences between the deer feeders. A consultant can help you choose the right item on the basis of your input. Another added bonus is that such stores often feature other related products and accessories. If you’re interested in wildlife, hunting or feeding different animals, you’ll discover so many possibilities. The only downside is that hunting stores may have slightly higher prices than the online shopping opportunities you’ll come across. People who are partial to a certain brand of deer feeders should consider visiting the manufacturer’s website. It could come with an online store or it may feature information about where the specific item can be bought. The official website of a manufacturer is also a great starting point for the research you’ll inevitably have to do before making a purchase. Various other shopping portals (apart from Amazon) give you the opportunity to buy deer feeders and wildlife accessories. Some of these platforms feature used equipment that’s much more affordable than buying brand new items. Budget shoppers will be particularly pleased with such opportunities because they’ll get to enjoy a major discount. The only problem with such shopping platforms is that the reputation of the seller will have to be assessed. This is particularly important for the individuals that want to buy used equipment. The quality of such product may be difficult to assess and there’ll be no warranty. As a result, you’ll have to dedicate even more time to doing research and identifying the best opportunities. Hypermarkets like Walmart may also have a selection of deer feeders and other types of outdoor equipment. These stores are easily accessible and convenient. They also tend to feature relatively affordable items. On the downside, chances are that the number of options to pick among will be limited. If you’re interested in something more specialized, it will probably be missing from the local hypermarket. This shopping opportunity is good for people who are just getting started and would like to give deer feeding a try. 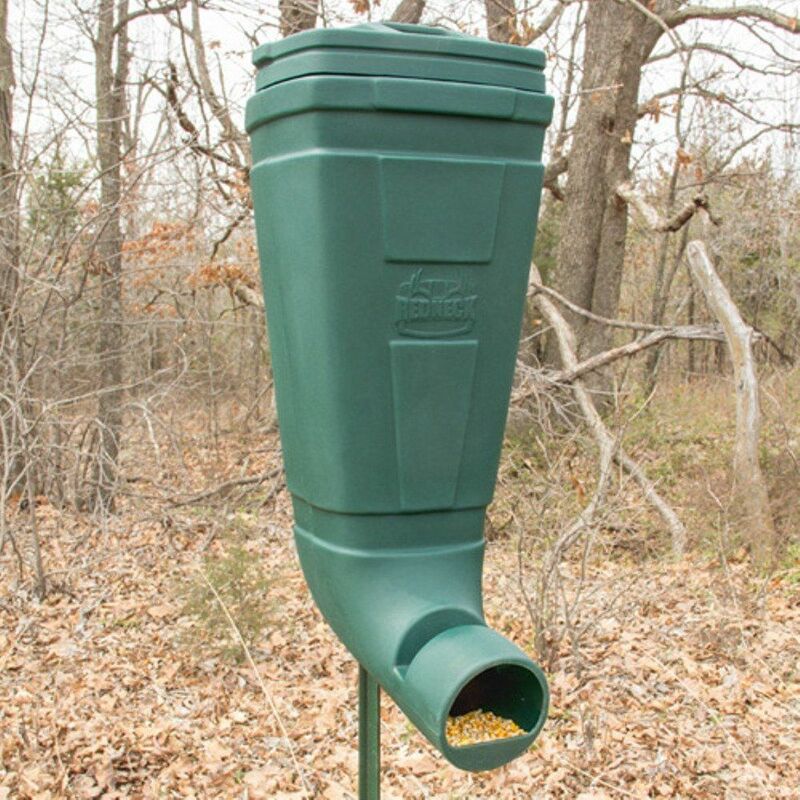 Once they’ve explored the possibility, most individuals will move on to looking for a more sophisticated feeder that’s available in a specialized store. 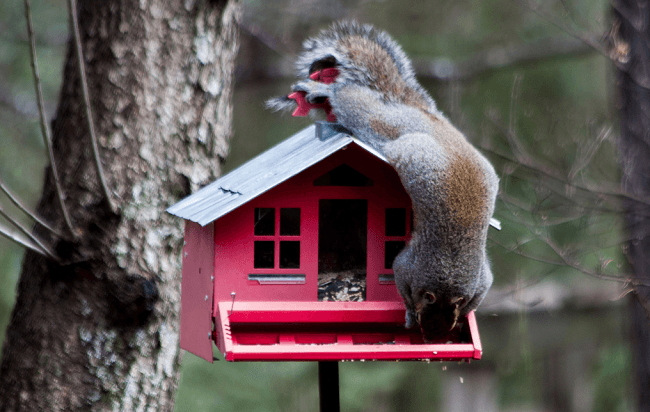 You can find deer feeders in many places but whichever option you choose, make sure that your decision is an informed one. It’s a good idea to shop around and compare offers. Chances are that you’ll come across the same product and see it priced differently in several stores. Look around, acquaint yourself with the possibilities and once you feel confident – make a purchase.